We serve as the hands joining Canadians and people living with or affected by disabilities in the poorest communities – working together for the benefit of all. In 2016, our supporters gave a song of hope and joy to the hearts of children and families to help them see, walk and hear! Benita didn’t always wear ribbons in her hair. But this was a very special day for the 3 year old. She was going to have her legs fixed – at last. A day to celebrate! Benita had bowlegs and could hardly walk. The doctor attached metal rods onto Benita’s leg bones to straighten them. He warned her mother Silvia that it would take time and a lot of therapy. But Benita’s legs will be straight and she’ll be able to run and play. For Claire’s (my granddaughter’s) third birthday, I decided to give a healinghugs to Ebenezer, a 17-year-old Ugandan boy with cerebral palsy. 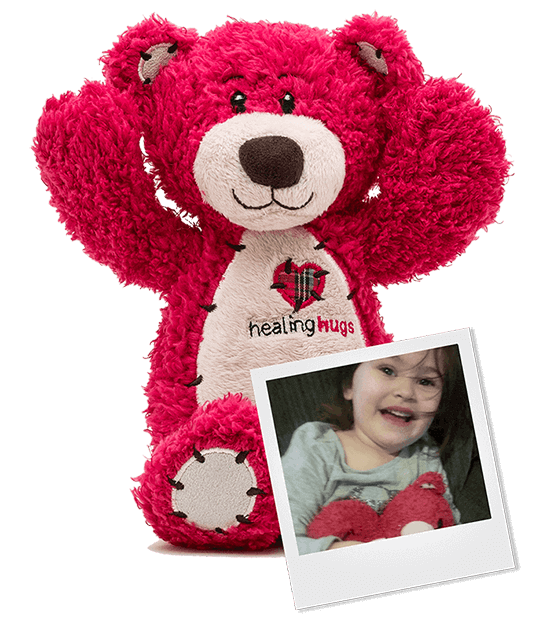 I gave the matching healinghugs bear to Claire, and I explained to her that for her birthday gift I would send money to help a boy who needed to visit the hospital. I told Claire the bear we sent Ebenezer would help take care of him and make him feel better. At that time, little did we know that Claire would need to go to the hospital for an inner ear problem. She insisted on taking her healinghugs bear with her. The bear did a wonderful job of taking care of her and making her feel brave enough to face surgery. When she awoke in the recovery room, she had her bear and a big smile on her face. Two things Mwanamisi never imagined... One, that she would spend her later years in total blindness, unable to see the hands in front of her face, or the sweet face of her granddaughter who lovingly took care of her. The second thing she never imagined was that a complete stranger, living in a faraway country, would pay for the cataract surgery she needed to see again. At 86 years of age, when she should have been enjoying her grandchildren, she couldn’t even see them. She couldn’t sweep the floor, cook food, or grow vegetables in her garden. She could only sit on the edge of her bed or feel her way along the walls of her house. Then she underwent miracle cataract surgery. Now, Mwanamisi is enjoying her restored sight, especially the chance to once again see the faces of those she loves. Our cbm supporters gave sight to 605,962 moms, dads and grandparents in 2016 through eye surgery, including 422,145 cataract operations. 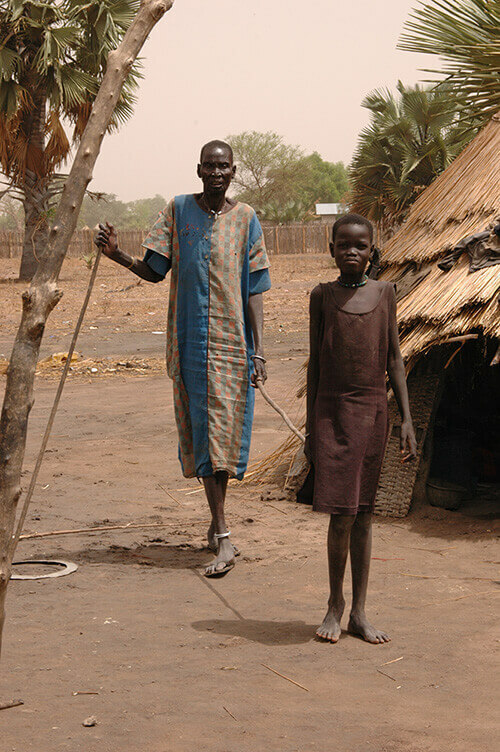 It isn't too late for this young girl, Arop, who leads Awal around with a stick. Thanks to cbm supporters, she doesn't need to live in fear of blindness and pain. Together, cbm supporters have treated, 3,996,859 people in 2016 with Mectizan® for River Blindness. Dinknesh, a 38-year-old wife and mother of three children, developed repeated trachoma infections. The scratching on her inturned eyelids and lashes was incredibly painful. So, Dinknesh, (like so many others in her village) found it less painful to pull out her eyelashes. Then someone like you paid for the operation for her right eye. And the good news only continues! Now the left eye is ready to be operated on as well! Four days after her surgery she returned to the clinic. Her eyelashes aren’t scratching, there’s no more pain and the eye is healing well. cbm supporters provided Azithromycin to treat 4,126,022 people with trachoma in 2016. 3D PrintAbility is a digital toolchain that combines 3D scanning, modelling, and printing technologies with custom software and affordable hardware to produce prosthetic and orthotic mobility devices. Last year, we conducted clinical trials in Cambodia, Tanzania, and Uganda to study the efficacy and value of 3D PrintAbility to orthopaedic workshops, clinicians, and patients in low-resource countries. The clinical trials present opportunities to continuously improve. 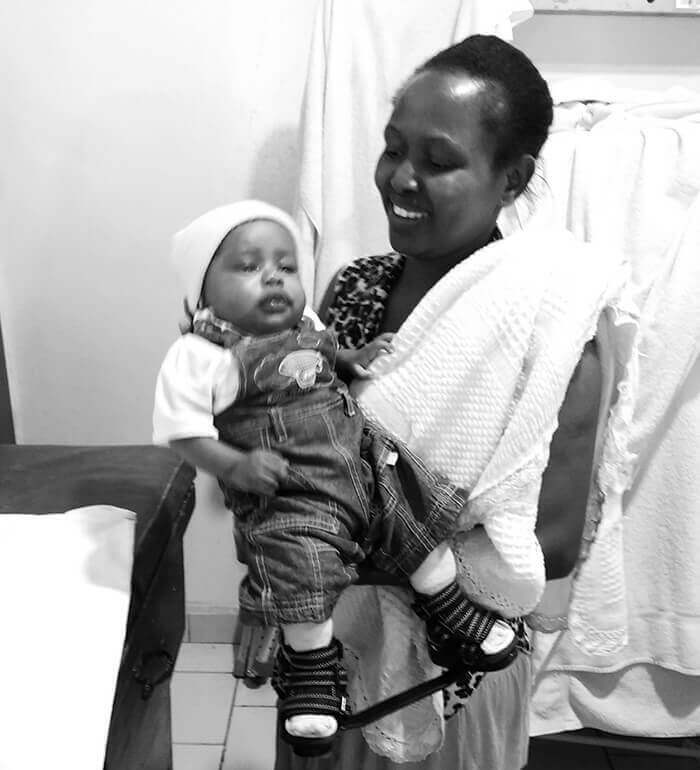 Baby Lumu was born with clubfeet. Her mother, Prodencia, brought her to the hospital in Cameroon for 5 sessions of serial casting to straighten out her feet... a long, but necessary process. 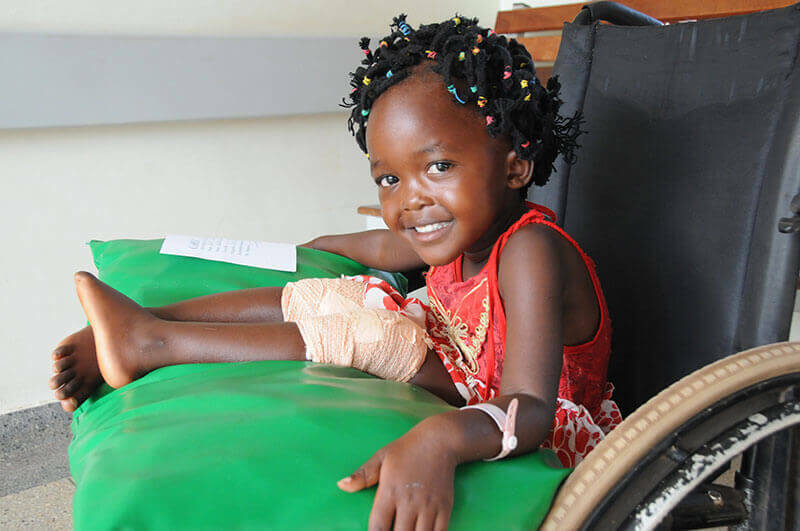 Slowly, Luma’s feet are being corrected, and they are supported with braces. Lumu’s braces are one of the millions of items that have been shipped this past year from our warehouse. Thanks to supporters and gift-in-kind donors like hospitals, companies, and non-profit organizations. In 2016, supporters across Canada gave $12.8 million worth of medical items and supplies. 1.5 million new and nearly new items in 22 shipments to Cameroon, Democratic Republic of Congo, Ethiopia, Malawi, Rwanda, Swaziland, and Zambia. I hope this report gives you joy knowing that abundant life has been given to children and families this past year.